The story unfolds in an interesting manner when she finds herself opening up, and wanting to communicate with him. Ruchi Vadehra, the author of the book Great Textpectations has woven a story around the concept that “text is the new talk.” “I have been a reader since as long as I can remember. Quoting Amaya Kapoor, the protagonist of Great Textpectations, ‘words fascinate me.’ So, I decided to take my love for words to the next level. 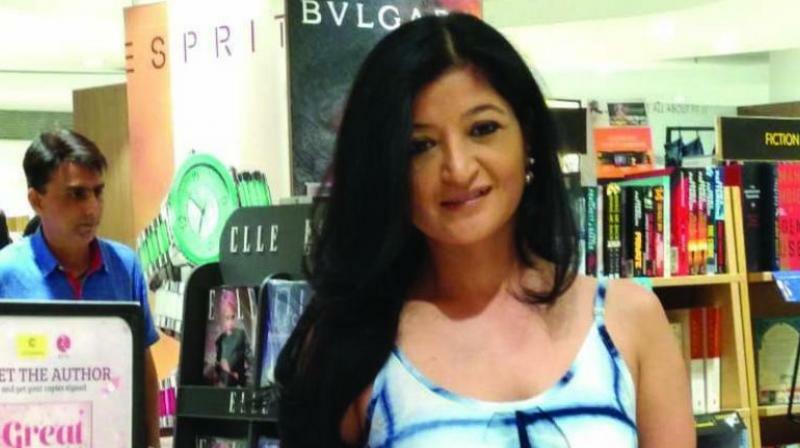 That was the birth of my book,” says Ruchi Vadehra. Great Textpectations by Ruchi Vadehra Publisher - Rupa Publications Pages: 228 Price: Rs 295. “He shows willingness to do the same, amuses and indulges her and at the same time, comes through as a mature and intelligent man. Using the premise “text is the new talk,” the book highlights quirky and fun text conversations between the two of them, which are instrumental in connecting their worlds,” says Vadehra. “Set in present day, with an urbane backdrop, this book is an observation on modern day commitment - resistant relationships. It charts the course of the unconventional rapport shared by two individuals. It is an account of Amaya’s professional and personal life, and at times the overlap between the two. Alongside are other characters that are part of Amaya’s world who shape and support the narrative. The absence of any mention of dates, months and time periods is intentional so as to let the readers adapt the aforesaid to their imagination,” she signs off.